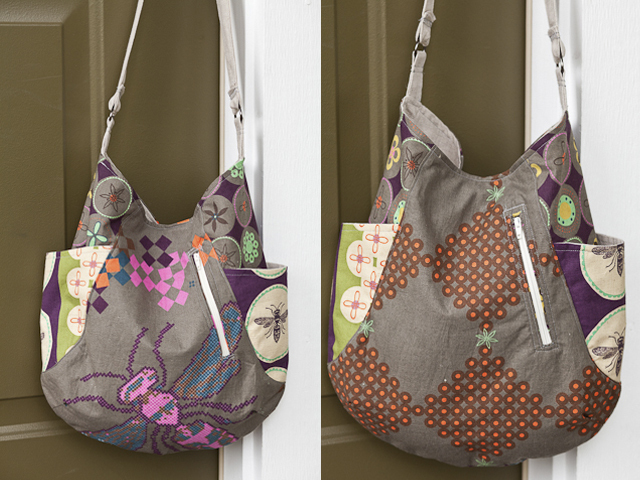 When I saw Jill's version of the 241 tote on Flickr I wanted to drop everything and start making It. She is really inspiring with her selection of patterns and colors. It also gave me the much needed push to cut into my Ruby Star Rising Spring fabric... fussy cutting the bees out for a very good reason. 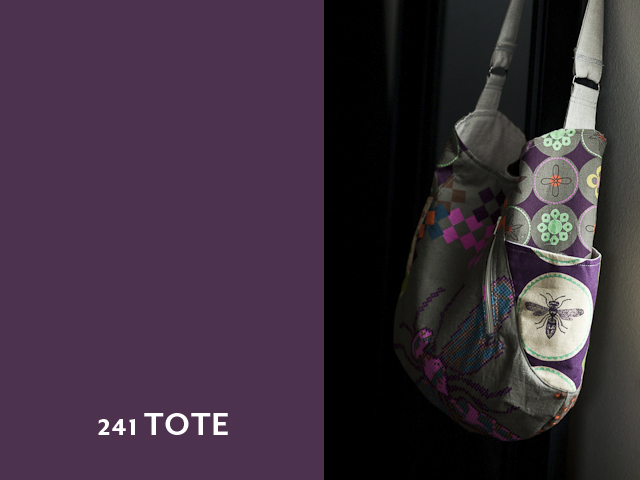 The 241 Tote pattern is by Noodlehead and you can purchase the pattern on her blog. I was a little intimated by the zippers and you can choose not to put them in. I thought this was a good as time as any to start! It wasn't that bad and I definitely need practice on finishing and properly using the zipper foot - but for the first time, it didn't go too bad. The zippers open! 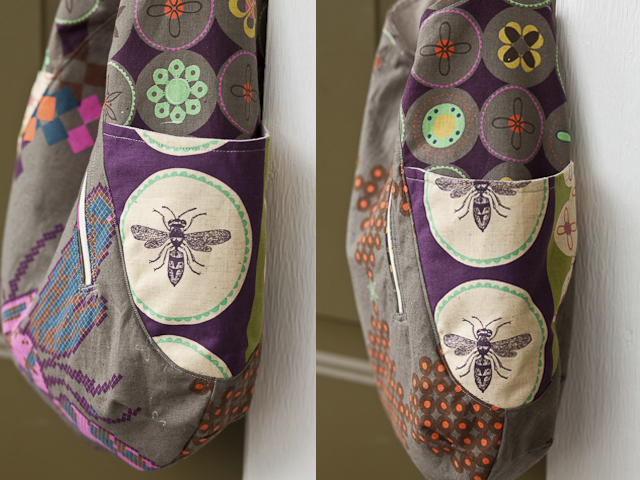 Back to the bees - when I first saw this line debut I immediately thought of friend who has bee hives. She actually has a small hobby farm - bees are just a part of it. So in exchange for fresh eggs and honey I thought this was the least I could do for her! What a fun tote! I love your adventurous spirit, Paula, and seeing your creations. I'm sure your friend will love the bag!